People who are U.S. citizens can sponsor their parents, spouse and children under twenty one years of age for an immigrant visa. These “immediate relatives” are not subject to a quota or waiting list. Fiancée visas can also be arranged for prospective spouses, subject to certain conditions. People who are U.S. citizens can sponsor adult sons/daughters and brothers/sisters, but these are subject to a quota/waiting list, and their “priority date” rank will depend on whether or not they are married (for sons/daughters) and country of nationality. The spouses and children of adult sons/daughters and brothers/sisters and are called “derivative beneficiaries” and different issues may arise with them. 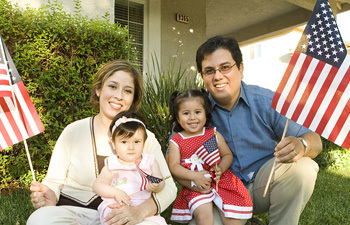 Lawful permanent residents can sponsor spouses, children and unmarried sons/daughters. These relatives may be subject to a quota and waiting list, depending on the country of nationality. A new temporary visa category was created called the V visa and permits those foreign nationals with a priority date of December 1997 to enter the U.S. (or obtain the visa within the U.S.) and temporary employment authorization until the priority date is current (meaning that he/she can then undergo “consular processing” if abroad or “adjustment of status” if already in the U.S.) Foreign nationals from Mexico, China, India and the Philippines are subject to quotas (meaning a waiting list) for all the non-immediate relative family-based categories. Can I obtain permanent residence through marriage to a United States citizen? For how long do we have to be married to receive a green card or citizenship? Can I become a permanent resident through relatives? What relatives might qualify for a green card through their relationship with a lawful permanent resident? What if we get divorced? Can I still get or keep my green card or citizenship?